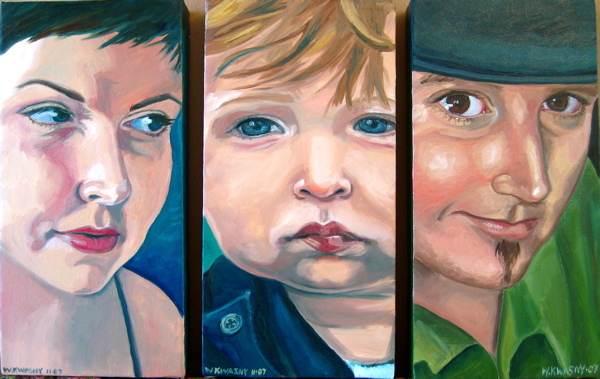 I submitted my new painting, Family Portrait Triptych, for consideration at San Diego Art Institute Museum of the Living Artist. The Jurying will be held on June 1st and I should find out if I’m in on the following Monday or Tuesday. It’s a long holiday weekend this week so I hope to get in some painting time. I only have a few new paintings to submit- if they each get in on the first try, then I better get to painting!